As a small business you likely don’t have a full fledged marketing ops department handling your marketing communications and email list management. Nope! Most likely that lovely job falls on your shoulders, or if you’re lucky you’ve got a guy. Having been the guy for many years I can tell you he or she is overworked and happy to just get emails created and sent on time and doesn’t have the time to give a rats behind about list management. For small businesses email list management is usually among the first plates to fall. The problem is, email service providers (gmail, yahoo, hotmail, etc) have recently started cracking down and moving from a strictly algorithm based filtering system (Viagra = Spam) to one that takes in the added dimension of behavior based profiling. What the Heck Does This Nerdy Nonsense Mean For My Small Business? What this means is that email list management is absolutely crucial to a growing small business. Perhaps you’ve noticed emails you used to receive regularly but rarely opened quit arriving. Take a look in your spam folder and you will be surprised! The first email list management tip for small businesses is to use a current, modern email provider. Yeah I just said I would stay way from the basic but this is a fundamental building block to the tips below. I understand money is tight and it’s pretty damn tempting to Bcc 50 people at a shot to send your email blasts (I’ve been there) but it just isn’t okay anymore. Having a modern email platform will make the next steps infinitely easier! I would seriously consider using a platform like Active Campaign that will allow you to grow and set some of your email marketing on autopilot. As an automation specialist by day I see the power of setting up automated touch points to nurture your list every day. It’s a game changer for any small business. The second tip is to keep your email list by updating addresses when you have the opportunity. Many times you will send an email and receive an autoreply, or a message from the intended recipient about that email address being retired and typically they tell you about their new address. Blow the dust off that old list and make sure everything is up to date. Your email performance will thank you! Whenever this happens either forward the email to your secretary, assistant, or just do it yourself. It should realistically take under a minute and will save you not only a subscriber, but the money and time it would cost to replace them. There is nothing more annoying than doing the favor of telling someone about your new address and then having them ignore you. Seems like common sense, but it happens all the time. Small business owners will scrutinize their website conversion rate, but not actually listen to their customers try to help them. When you send out a broadcast you can quickly set up rules to put these emails in a folder or forward them to an assistant. Don’t try to keep up with the onslaught of emails, but instead do the task all at once at the end of the day. To do this you need to keep them out of sight, or quickly file them away where you know you won’t forget to handle them later. 3. Send Emails From An Address You (Or Someone) Can Check… And Check It! The third email list management tip for small businesses is to send you broadcast emails from an address you can actually check. Typically emails will be sent from noreply@yourdomain.com. People do this because you get junk back, bounced emails mostly. I remember when I started out in around 2006 my manager at the time sent an email blast to our list of 100,000 with our actual email address as the from address and then went on to curse himself up and down as his blackberry went nuts with all of the notifications he had to manually delete. From then on it was the gospel until I got a bit more mature and started testing things. People actually replied to the emails wanting more info and even to buy! I personally recommend using a new email so you can separate the replies, but easily reply to the emails in a timely manner. If you want them to hit your main inbox try using an email alias so you can segment them into a separate folder. Try your firstname.lastname@youdomain.com for an easy one if you are currently just using you first name. You can set an email filter to grab these emails and put them in a folder for you. This will allow you to consolidate replies to your lunch break or some non peak time and keep them off you radar while you focus on your day. If you don’t think this is possible for your business I challenge you to check out Seth Godin’s Blog… If you subscribe and reply to one of the emails he will read it and reply. (I have done so on several occassions). It is likely his list / email volume is several times what yours is. Spam filters have come a long way from simply having a list of questionable terms they would run your email text against to determine a quality score. Modern filters actually watch how the end users interact with you broadcast emails to determine how much you care, and how to classify your future mailings. Now if this doesn’t make you nervous you should read it again! Filtering emails based on user behavior is a serious game changer in the realm of email marketing and it is still in it’s infancy. What is means is you can literally cost yourself money by sending a bad email. Send a blast to 5,000 gmail addresses that no one opens, watch how your next one does. If ignoring an email is the worst thing (short of unsubscribing or marking as Spam) a subscriber can do, then replying is the best. You may have noticed there are some savvy marketers out there now asking for a reply in their automated emails, and then replying to what you say. My final nugget of email list management wizardry for you is to have some courage and put a big unsubscribe right up front for the world to see. For years finding the unsubscribe button was worse than “Where’s Waldo” with people using white links on a white background, tiny 4pt fonts, and other trickery in an effort to lower unsubscribes. Like someone was going to come around and become a customer because they can’t find a way to unsubscribe. Having an unsubscribe link up front is a good, ballsy practice. 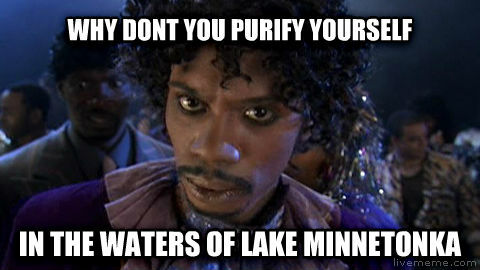 Your email list will not only be cleaner than the purifying waters of Lake Minnetonka. But it also motivates you to write better emails quickly. But here is a huge email list hack to take this even further. Get Actionable Marketing Tips Delivered Straight To Your Inbox Each Week. Thanks, your download is on the way! Is Your Hubspot Consultant Drunk On Inbound Kool Aid? TO HIT THE NEXT LEVEL IN YOUR BUSINESS? Wish you had an EXPERT on speed dial that could answer your toughest questions with actionable advice? Enter your name and email address below to learn more about my coaching program.